Powerful project estimating. Carlson Takeoff will work for you! Carlson Takeoff is available in two configurations: Takeoff OEM and Takeoff Suite. Takeoff OEM includes an AutoCAD® engine built-in and has all of the same ingredients as the Takeoff Suite, which works on AutoCAD® sold separately, or with IntelliCAD® built-in. The Takeoff Suite is comprised of the modules Carlson CADnet, Carlson Trench, and Carlson GeoTech combined with Carlson Construction. All are fully integrated with Carlson Civil and Hydrology to meet the variety of customers’ needs. Carlson Takeoff is a cut/fill volumes and data prep (for layout or machine control) program that can estimate jobs using paper plan digitizing, PDFs, or electronic CAD files. 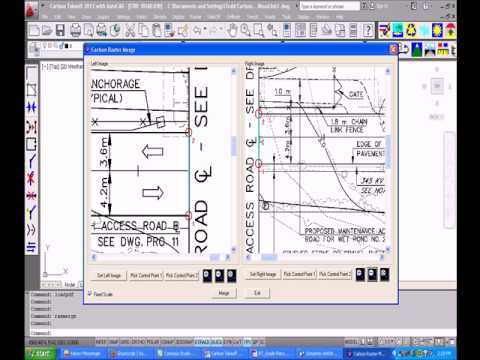 Carlson Takeoff is the only estimating software built on either the AutoCAD or IntelliCAD engine. Working in the DWG environment natively gives Carlson Takeoff users a distinct “CAD Advantage” when estimating from an Engineer’s electronic files. If no CAD file is available, Carlson Takeoff offers the flexibility to digitize from paper plans or “on-screen” digitize from a PDF, TIF, JPG image file. Carlson Takeoff can automatically trace linework in a PDF and “Merge Raster Files” allows a user to easily combine multiple sheets at their match lines. 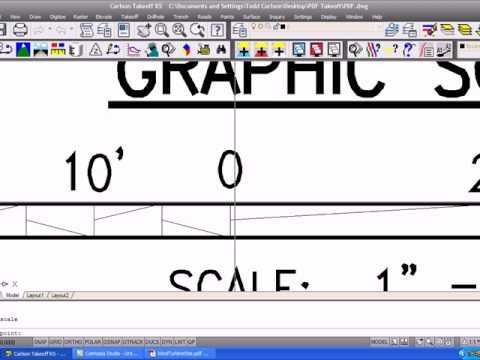 Once linework is created, the steps to calculate quantities are the same as with a CAD file. Clear and detailed Volume reports include Cut/Fill volumes, Subgrade volumes, Strata volumes, Topsoil Removal/Replacement, and Over-Excavate volumes. 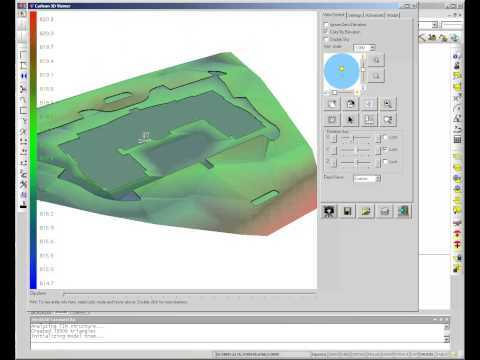 Volumes are calculated using 3D triangulation models, the most accurate way to estimate. The program calculates Cut/Fill volumes for the entire site or within “Areas of Interest”. Visualizations are used to verify quantities and present findings with commands such as 3D Drive Simulation, 3D Drawing Viewer, 3D Surface Viewer, Quick Profile, Cut/Fill Colour Map and Cut/Fill Contours with Daylight lines. Also supports Shrink/Swell factors and Export to PDF or Excel. Subgrades are easily defined by the Layers and linework in the drawing. The Material volume, area, length and/or count can be reported in a standard report, PDF, or Excel. Subgrade depths are also used to vertically adjust the design surface. Takeoff automatically handles complex subgrade areas nested within each other and hatching allows for quick Quality Control. Whether taking off Cross-Sections for Volumes or creating Machine Control models with Super Elevations, Carlson Takeoff has Roads covered. Features include the ability to Import/Create/Draw Centrelines, Vertical Profiles, Design Templates, and Cross-Sections. Includes Calculate End Areas Volumes and Mass Haul Analysis. Dynamically build roads and model intersections with the powerful RoadNET command. Easy input for Pipe, Trench, and Manhole data. Trench Quantities Report includes Cut volumes, Backfill quantities, linear footage of Pipe by pipe size, material and more. 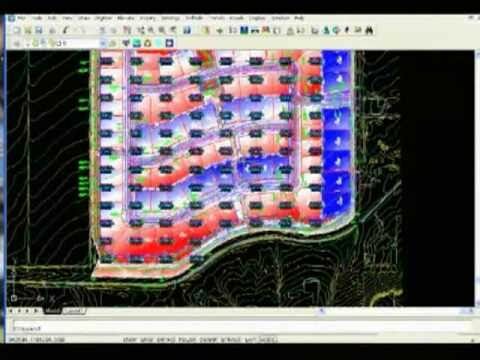 Trench verification can be done with Pipe Profiles, 3D Pipes, and a Depth Zone Colour Map. Strata surfaces created from Drillhole data can be used to calculate Strata Cut, Topsoil Removal, or Over-Excavation of a material. Once Strata surfaces are created, they are automatically incorporated in standard features such as Calculate Total Volumes, Quick Profile, Surface Inspector, and Cut/Fill Labels. Advance Settings allows the user to determine different modelling methods to insure the most accurate Strata surface is created. Accurately prepare jobs for Stakeout or Machine Control in the field with commands such as Draw-Locate Points, Create Points from Entities, Divide Along Entity, Triangulation File Utilities, as well as Topcon, Trimble, and Leica Machine Control Surface Export.